Now, the web is rich with creative and amazing icon sets, and one of the most unusual source of amazing Icons. I always like collect the icons which designed by the web designers and graphic artists. So, I show you about the incredible icon sets which you can use for your web designs or your desktop Let’s take a close look at some of the most cool & beautiful icon sets which I found..Enjoy, ya! It have 8 free 'feed' icons for your desktop, blog or website. You can download the standard Mac or Windows icons as well as a handy PNG files for linux, web or blogs at Fast Icon Website. This file contains 35 icons that are associated with hot springs in Japan. The unique icons drawn in 128x128-pixel format will make your desktop delightful. Please be aware that Yoritsuki is the name of a fictional Japanese-style inn. The gaming icons in 3d cartoon style. As games freak, you can actually use the icons for game emulators like SNES and Sega. 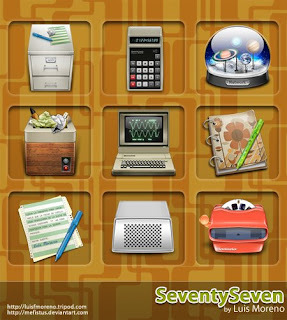 It have 18 icons for PC and MAC. It have 5 Icons in PNG format only. It looks as battery icons. :) When you visit Accumulator website, you will notice all words are Thai language.. :P But, I think it is really cool icons. ;) The designer will update new icons in their website. A few icons for the Mac OSX super browser Camino, 5 colors and a retro look for your favorite browser. 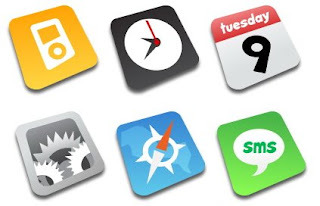 The iPhone icons; Browser, calendar, calculator, chat, clock, graphics, iPod, e-Mail, map, notes, phone, photo, sms, tools, wallpapers, weather. 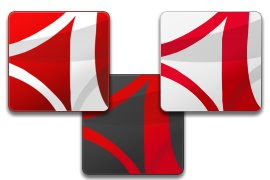 The software and application icons for your dock or desktop. This icon style inspired by rokey's smooth metal pack. A total of icons are 111- the biggest pack, which can used for PC and Mac. It is very cool and like the video / film images! There are 4 docks icons only. 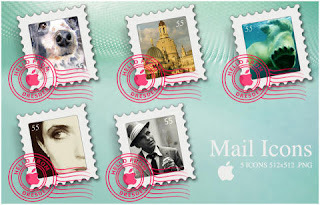 There are getting the 13 Antique icons - ICO and PNG icons format. 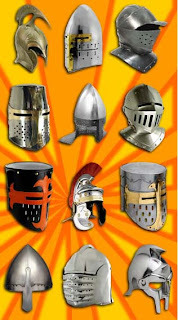 It is very historal icons. It let you can download what icons which you like in the WebsiteIcons.net. There are different of icons; games, XP style, fruits, and many.. It is the windows version in ico and pngs. This icon collection was inspired in the look of the new Apple's Bluetooth Mighty Mouse, and is available as standard Mac or Windows icons as well as a handy PNG files for linux or web. 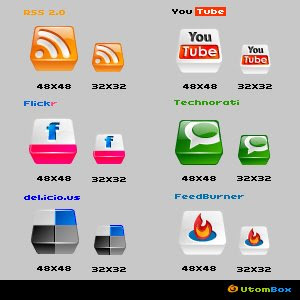 They are in 512×512 px icons of three of the most used blogging systems. It inculdes PSD and 3 sizes. It is nice! There are 13 icons in png and icon. It can used for Windows and Mac. The Web 2.0 icons can used for your blogs and websites. It is cute icons! edward: Thank you for adding my site!